The first part to building a summer camp menu is knowing the needs of each individual at each meal. This sounds like a large undertaking and it is, however it is paramount to your culinary success. Having an organized approach to the food service at your camp will help you to develop a menu that is both nutritionally balanced and exciting, but also accommodating to all special dietary needs. Waste reduction should be taken into consideration so that leftover foods can be recycled and not wasted. This will greatly affect your food service cost. Taking food allergies and intolerance seriously and working to accommodate each person in camp makes all the difference – for both registrations and the environment created around food at camp. The food that children and staff consume while at camp will affect their overall experience even more than most people think. The power of food is nothing to be taken lightly. It’s about feeling great, having more energy, improving your health, and stabilizing your mood. These are all contributing factors that can make or break your experience while at camp. By taking a balanced approach to planning your menu, you make sure your campers and staff are getting adequate nutrition. When options from every food group are available at every meal, then even picky eaters are likely to find something they will want to eat. An extensive salad bar is a must. 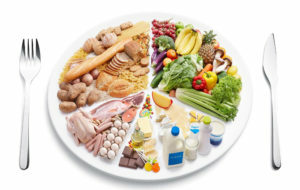 Remember that variety keeps kids interested and the choices will help them maintain a well-balanced diet. You don’t need to eliminate certain categories of food from your menu, but rather select the healthiest options from each category. You must know if your facility can handle the demands of your menu. This will affect the overall design of the menu because you may not have many ovens to work with or limited space in your freezer. You should calculate the refrigerator, freezer and dry storage space to decide what will work best for your camp creating an efficient and organized foodservice operation. Sometimes investing in equipment will pay off ten-fold in the long run. A food processor with multiple functions is something that will make everyone’s life easier. If your kitchen staff are able to operate all the equipment properly, this will add a level of efficiency that will resonate through to the meals served. Do the necessary calculations regarding food for the upcoming season and the menu you have developed. With this data compiled, you can then begin to organize your orders. The more ahead of time you get the details ironed out, the easier it will be to have a successful summer camp foodservice.